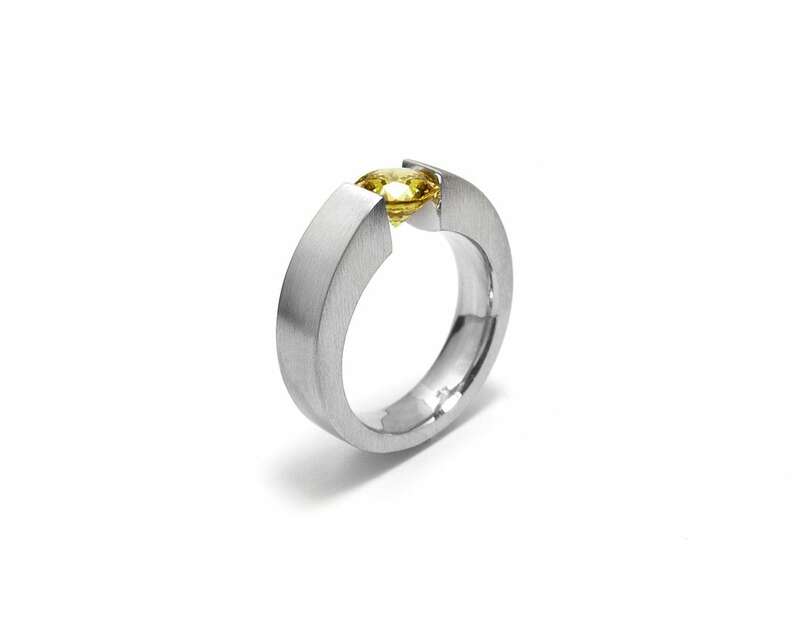 Men's Ring Wedding, Engagement or Promise Ring with Tension Set 1ct and 1.5 ct Yellow Sapphire. 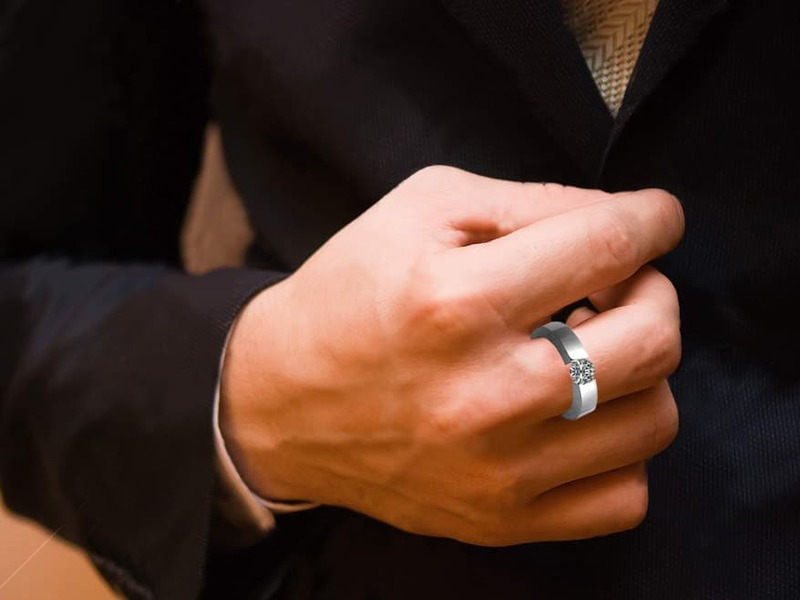 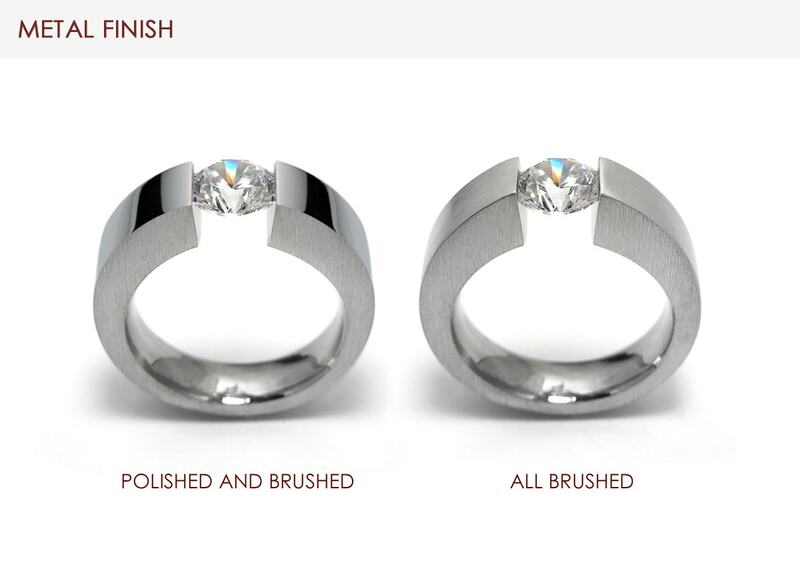 Totally Handmade available in all Brushed or Polished and Brushed high grade Stainless Steel. Round brilliant cut White Sapphire, fire, brilliance and hardness just like a Diamond, Ideal for engagement ring or just a statement ring. 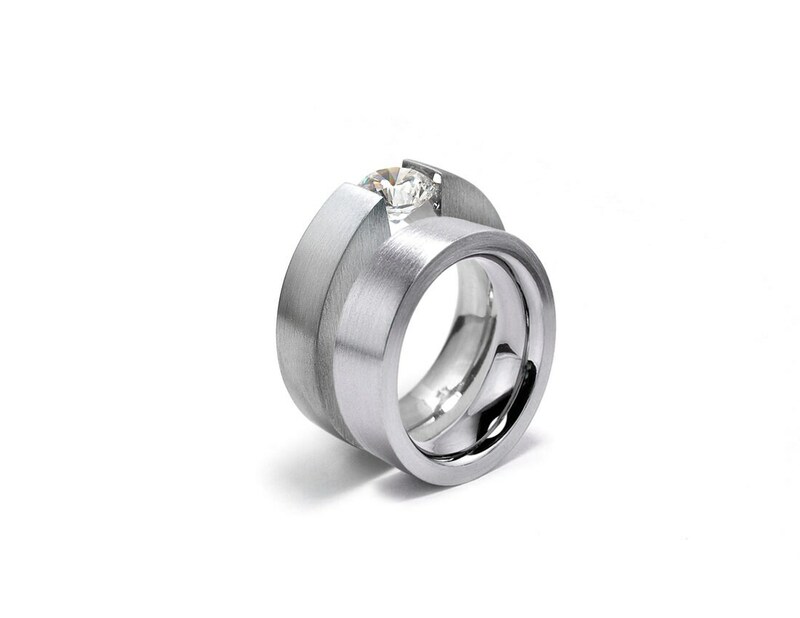 Top: 5 mm - 3/16"
This Ring is MADE TO ORDER, Please indicate Ring Size in the "message to seller" during checkout.